Migration watch; 06.00 - 10.00hrs and 18.30 - 21.00hrs. A slow day at Long Nab, on the move (north unless stated) were 102 Fulmar + 4 south, 22 Manx Shearwater + 8 south, 3 Cormorant, 1 Shag south, 1 Teal, 146 Common Scoter + 18 south, 4 Oystercatcher south, 2 Whimbrel south, 2 Curlew, 1 Redshank 1 south, 1 Pomarine Skua, 1 Arctic Skua south, 1 Great Skua, 55 Black-headed Gull + 3 south, 2 Common Gull 13+ south, 1 Lesser Black-backed Gull south, 6 Great Black-backed Gull south, 449 Kittiwake, 8 Sandwich Tern south, 3 Common Tern, 4 Arctic Tern south and 23 Puffin + 1 south. Five Green Sandpiper and 13 Grey Heron were present on Johnson's Marsh. 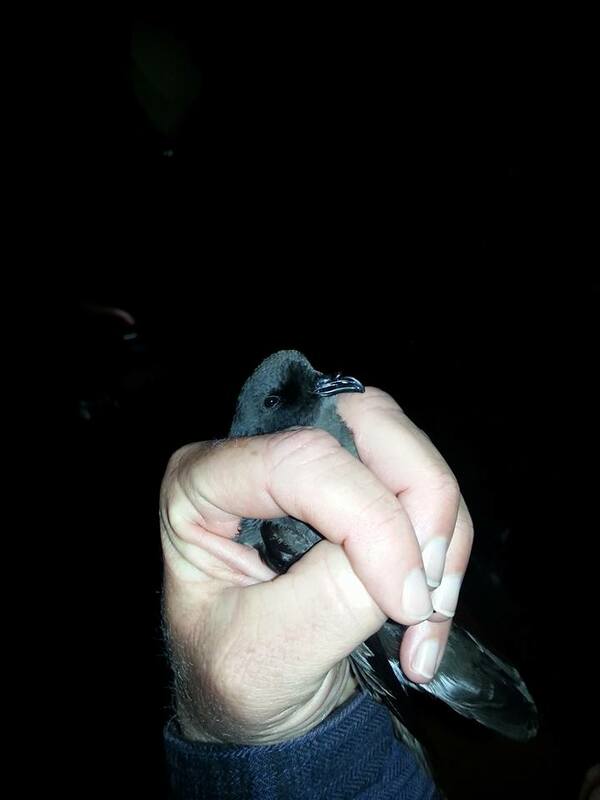 A Storm Petrel ringing session took place at Crook Ness during the evening, finishing 01.00am on Sunday. Three birds were caught, all before midnight and included one control.